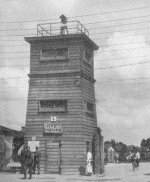 Welcome to Moosburg Online's forum "Stalag VII A". You'll find extensive information here: Moosburg Online: Stalag VII A.
Zuletzt geändert von Jordi am 01.04.2008, 09:52, insgesamt 3-mal geändert. Due to permanent violation (spam), we had to cancel our initial policy to allow posts from guests. Therefore, guests may only read in this forum. Zuletzt als neu markiert von Jordi am 18.05.2010, 08:55.